Do learning difficulties affect families? It’s very common for families to report upheavals and arguments in the home as a result of a child’s struggle to learn. Some of the problems may be caused by the decisions that have to be made, both medical and educational that might also put pressure on finances. Others are more emotional, encompassing disappointment, guilt, blame and even anger. Being privy to countless families who seek help for their child, it is clear that those families that cope best have both parents fully involved and sharing in the raising of the child, management of the learning difficulty and all aspects of the programmes chosen to help the child. When only one parent carries the burden of being responsible for everything, it can add tremendous stress. This stress becomes enormous if the other parent tends to criticize or even suggest blame for lack of success. I’ve noticed that some parents tend to deny signs of difficulties. Unfortunately, my experience has been that this is more typical of fathers. Mothers are quicker to notice ‘at risk’ signs when the child is still young. 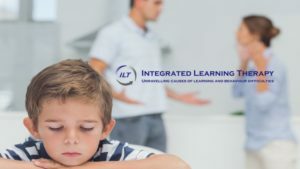 These signs might be dismissed by the father and as difficulties escalate in higher grades, the disbelief of existing problems are expressed as the child being ‘lazy’ or ‘disliking school – like I did’ or needing discipline to produce more effort. To help restore family harmony, it is important that both parents have opportunity to meet with the professionals who are working with the child. They need time to understand the reality of their child’s challenges because this realization can be painful. Following this, making an effort to understand the nature and needs of the learning difficulty is really important. It isn’t enough to merely know that a child has some or other diagnosed condition that carries a label. Insist that you are given all the facts of any evaluations or diagnostic procedures that are done and don’t be fobbed off by vague or professional terminology. Don’t leave the office before you feel enlightened and empowered with knowledge of what is needed at home and what role you have in helping the child. Remember that as parents, you aren’t responsible for the learning difficulty and you can’t cure your child. You can, however, provide invaluable help and support – both to the child, siblings and most of all to each other. If both parents work together, they can plan how to adjust family life to ensure strong family bonds, positive self-concepts and a generally loving and effective family. The field of neuroscience is peppered with information about the strong links between movement and learning. 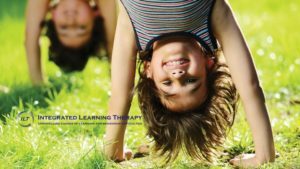 We know through science that early movements are crucial for brain development and recently, more and more studies are appearing to support the view that children need movement to learn efficiently. In spite of this, schools seem to be determined to limit opportunities for movement, both in classroom settings and in the school time-table. Most teachers are scared to introduce movement breaks into their classrooms for fear of discipline problems and losing control; schools are pushing for even longer times spent sitting at desks engaged in academic tasks. It seems that the fear of poor performances in standardised tests is part of the reason for the ever increasing pressure on children to learn skills through more academic time – including time spent on piles of homework. South Africa spends a fortune on education. Despite this, the academic performance of our learners lags far behind the rest of the world. The additional time spent on academics at school and at home does not seem to be improving matters. More importantly, if we deny our learners the chance to engage in movement during the school day and afternoons at home, we are depriving them of a vital and necessary ingredient of childhood. Children love to move; they need to move. Those who cannot sit still are labelled as disruptive, hyperactive or some other popular label. Many young children are presenting with anxiety, developmental delays and depression. I do not believe that so many of our children are so incapable of learning skills and acquiring knowledge. 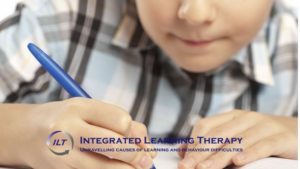 Those who report to Integrated Learning Therapy (ILT) practitioners are found to be bright and capable but very often not learning ready. Those children have not had the chance to develop the neural networks needed for efficient learning. The reason may well be because they were and still are deprived of the movement opportunities needed for this to happen. It is time for pre-school educators to face this challenge and introduce brain-developing movements into their daily programme. ILT has carefully worked out programmes for them to follow – designed because we are passionate about ensuring that our young learners succeed at school. These movements prime the brain for learning. It helps to understand the role of the ‘movement centre of the brain’ in learning. The area of brain responsible for coordinated movements is called the cerebellum. This is also known as the ‘little brain’ at the base of the big brain (the cerebral cortex). Although it might look very much smaller, it is incredibly densely packed with brain cells. Nerve cells (neurons) do not all run from the cortex to the cerebellum so that the brain can ‘order’ the cerebellum to move the body around easily. Instead, most of the cerebellar neurons are outbound, meaning that they travel from the cerebellum up to the cortex. In terms of brain function, this means that during learning, information is sent to the cerebellum, where the absorbed information is processed, practiced, timed, rehearsed and corrected before it is sent back to the areas of the cortex that are responsible for the motor response or action. In other words, when we learn a new word, the action is to say or spell the word; when we learn a new maths skill, the action is to perform the skill by solving a maths problem. This shows that the cerebellum is an area crucial to the learning process. All new information passes through the cerebellum before it becomes a learned skill or new piece of knowledge. Secondly, we need to understand the role of the sensory motor system. We use our senses to help our brains ‘know’ what is going on in the external world. The media these days publishes many articles about how a child needs good sensory integration in order to be able to pay attention and learn. It is fairly obvious that our senses of sight, hearing, touch and so on have to be functioning well so that we can absorb learning events. But sitting for long periods of time does not stimulate all the senses. Listening to a teacher’s voice might stimulate the auditory system but this is one of the least developed senses in a young child! Compare this to a child who is playing outside. Actions such as swinging, sliding, building sand castles, playing catch, skipping rope and so on, engage multiple sensory motor systems at the same time. These actions are firing neurons that are similarly needed in paying attention – a crucial ability in a classroom. We need parents and teachers to join forces to encourage a change in all our classrooms and time-tables. Movement needs to be a major focus during the school day – rather than be seen as a misbehaviour. Is the school making your child (or you) ill? We’ve heard about ‘toxic offices’ and how they can affect those who work in them. But what about our school buildings – and our homes? Many schools in this country were built a long time ago, and some still cause problems related to the use of asbestos and lead in construction and paints, poor plumbing, sewage inefficiencies, inadequate ventilation, termites and more. Can they be playing a role in the often bewildering behaviours shown by some children (and you, of course)? Do you find that your child copes better with schoolwork at home than during the school day? Do they (or their teachers) become angry or cry/show emotions more easily at school than at home? Why does their behaviour get progressively worse from Monday to Friday then improve remarkably by Sunday evening? Dr Doris Rapp practiced environmental medicine for many years and her legacy to us includes some outstanding books. She found that over the years, a growing number of children seemed to routinely feel unwell. They may react with hyperactivity, show fatigue or misbehave. Some may express their difficulty in being able to think clearly at school. There are many factors that may cause Environmental Illness (EI). Amongst the most prevalent are poor air quality, particularly due to excessive dust or moulds or to chemical pollution in or around a building. Other factors include foods and seasonal pollen. EI is a name for an assortment of medical problems that can affect many areas of our bodies. For example, year-round stuffiness or watery nose, repeated fluid build-up behind the eardrums, chest congestion leading to asthma, ‘growing pains’ or aches in the head, back, neck, muscles or joints that aren’t related to exercise, tummy aches, nausea, bloating, bad breath, persistent bowel problems like constipation, and ‘winds’, problems with bladder control, itchy skin, night sweats, irritating twitches. Accompanying these may be a wide range of behavioural and emotional problems, ranging from leg-wiggling to depression. Finding out the causes of such behaviours can lead to making simple changes in school and home. Even changing the chemicals used to clean school bathrooms can bring about positive results. Allergy diets can be followed to identify and then eliminate foods as well as improving nutrition generally. Possible yeast infections can be treated and even probiotic treatment can be used to improve immune system health. EI makes a significant impact on individuals and should not be ignored. Teachers may suspect their environment if they find an increase in skin irritation, inexplicable fatigue and constant drowsiness. If this describes you, consider whether you work is a dusty school or a recently renovated school that are subjected to much chemical use during construction. Prompt treatment can help diminish learning problems in children as well as prolonged periods of ill health and discomfort in their teachers! Content for this article from the book ‘Is this your child’s world? By Doris J. Rapp, MD, puished by Bantam Books. The number of children who are described as ‘picky eaters’ seems to be huge. So many desperate parents dread mealtimes which become battle fields, with children resorting to tears, spitting out food, vomiting, throwing food on the floor and so on. Parents fluctuate between clownish behaviours (‘Look, here comes a chook-chook into the tunnel …’), angry orders (‘If you don’t eat you can’t have a story’) and their own emotional tears of despair. Why is feeding children such a problem? 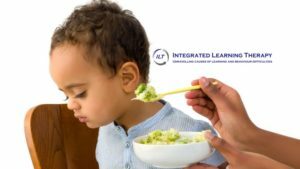 Often children start out by taking their solids happily but typically begin to refuse food around the age of one year. The trouble starts with visits to the clinic or paediatrician and the child’s weight, head diameter and other measures are seen not to match the charts used to gauge ‘normal’ growth. So is the problem our expectations created by perceptions of normality or the child’s seeming urge to starve themselves and suffer poor health throughout life? It might well be our perceptions that need adjusting if you believe Dr Carlos Gonzalez. His book isn’t new but it certainly carries a comforting message to families who are concerned about a reluctant young eater. To start with, Dr Gonzalez remind us that children typically show a slowed growth rate at around one year and may remain small eaters until puberty – when they change and suddenly turn into ravenous fridge raiders. He also challenges the emphasis placed on growth charts. The percentile curves are drawn up according to statistics and don’t necessarily ‘fit’ the weight or height gain of an individual child. Instead of fretting about each meal, allow your child to dictate what and how much she will eat. If, after a couple of days, her weight has not dropped by 1 kg, you’ll know there is nothing to worry about. Basically, the message is that babies don’t eat because they don’t need to or they are full. Certainly he advocates breastfeeding until the age of 2 years and if children are receiving breast milk, they don’t actually need much in the way of solids. He believes that breastfeeding should be on demand and reminds us that breastfed babies will not accept solids as willingly as those who are bottle fed. Solids introduced at six months is advocated, but rather than present a dishful of food, offer a variety of foods at each meal. Don’t worry if they peck at one or more foods like a bird, they will be gradually becoming accustomed to the texture, smell and taste of the foods and benefit from taking in a few calories. Don’t be in a hurry to introduce allergenic foods, such as dairy, eggs, fish, soy, etc. The book might be a refreshing and comforting approach to a problem that is enormous in many of our young families. Older parents often take a more relaxed approach to ‘picky’ and reluctant eaters. In fact, I’ve heard many interesting stories about such children. One concerns a young boy with a very restricted diet of virtually nothing but pasta and chips who developed into a keen and accomplished young cook after puberty, producing gourmet meals complete with a variety of vegetables! What exactly is an IQ test? Your child’s school may have requested that you arrange for an IQ test to be done, possibly along with a fuller educational assessment – most often by an Educational Psychologist. We usually understand the reason for and content of tests to determine reading, maths and spelling ages, but many parents are unsure of the nature and reason for the ‘IQ’. The letters IQ stand for Intelligence Quotient. The test is the most common method to measure intelligence and its value lies mostly in its ability to predict a child’s chances of school success fairly accurately. Most school subjects require those mental skills and knowledge that are tested by the items comprising the IQ battery of subtests. IQ tests are based on statistics and the child’s results will reflect her academic abilities as compared to other children of the same age. IQ tests are conducted by trained psychologists who are qualified to administer these tests. Most IQ tests consist of two broad parts: a subtest which tests verbal skills such as vocabulary and general knowledge and a performance subtest which tests visual, motor and spatial skills. tests are believed to be unreliable below the age of six . Between the ages of 6 – 18, test results are fairly reliable but may fluctuate depending on environmental factors such as exposure to languages (especially the language used to test), learning opportunities and family support. The average child may have an IQ score that varies by up to 15 points during the ten years or so of schooling. This is why IQ scores should not be taken too seriously in spite of its importance as a predictor of later scholastic success. IQ tests can’t determine success in life. Success depends on a combination of intelligence, social skills, endurance and even a healthy dose of chance or opportunity. An IQ represents only the chances of a child’s achieving in the academic sphere. It cannot predict or substitute for attitude, motivation and interest. In addition, it can’t test for specific talents such as musical or artistic potential, physical prowess, creative thinking, leadership and social skills. In short, it can be used as a helpful tool in understanding more about a child’s academic potential but falls far short in defining the essential nature of the child. We are all far, far more and less than our IQ scores may suggest! Children with learning disorders often have trouble with anxiety, especially with tasks related to schoolwork. Being asked to read aloud, given tests, having to start a creative writing exercise can all trigger anxiety, which causes the child to freeze, show restlessness or even become agitated. This is why it is sometimes difficult to tell the difference between anxiety and the behaviours associated with ADHD. If a child has difficulty focusing, anxiety may follow attempts to try; on the other hand, anxiety makes it very difficult to focus. What is anxiety? Briefly put, it is a concern or worry about something vague and not necessarily connected to anything specific. In a very simple sense, it is the feeling that one’s safety or well-being is threatened. Most children experience anxiety. In the younger years, they may be anxious about being separated from their parents, or fear the dark, barking dogs, or thunderstorms. As they grow, concerns about their school performance may cause anxiety or social relationships. As adults, we can laugh at our childhood fears and anxieties because we’ve developed the ability to view youthful worries in perspective. But most children don’t have the mental maturity and experience to shake off feelings accompanying concerns like “What if I’m not invited to the party?”, “What If I can’t answer the question when it’s my turn?”, “What if I’m not chosen for a team?” None of this is abnormal. Anxiety becomes a problem if it interferes with the child’s normal living. A child who refuses to go to school because of anxiety regarding her ability to cope needs help. True anxiety can affect up to 10% of young children and it’s not always easy to know what the cause is of the anxiety, or when your child is feeling anxious. This is why anxiety has been called the ‘silent affliction’ because even young people are able to hide their anxiety from others. When anxiety is triggered, we all show typical physical reactions: shallow breathing, increased heart rate, sweaty palms, tense muscles, feeling faint or nauseous and so on. Being in the grip of such bodily responses to perceived threat means that the brain is unable to think clearly, making it impossible to reason with the child or comfort them with words. Helping children who are in the grip of anxiety includes teaching them to calm themselves down again. Some children may react well to techniques such as deep breathing, using a punching bag or aerobic exercise. 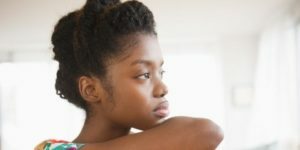 Once they are calm, you might help them think of creative ways of handling the anxiety – even imagining a special, private, ‘safe’ place (real or imaginary) to which he can retreat to regain calmness. Failure to use the chosen way of coping shouldn’t be allowed to discourage progress. Constantly boost the child by encouraging daily practice and perseverance, and point out to them any small steps they may have made in overcoming the effects of their anxiety. 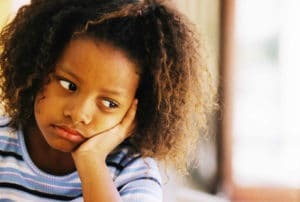 Children will experience anxiety uniquely and also react in her own individual way. Many children do find it calming to be able to describe their anxiety, what they think is causing it and its effect on them. For this reason, adults should listen carefully and try not to make any judgements. Telling a child that he ‘doesn’t have to feel anxious’ and that his fear is ‘not real’ is not helpful. Being a good listener and showing the child that you understand her fears and feelings is called ‘reflective listening’ and is a powerful helping tool. With anxiety being so rife amongst our younger population, it may not always be possible to help the child yourself. Parents and teachers should be on the lookout for signs of anxiety and, if need be, look for help for the child. Don’t overlook the possibility of anxiety playing a role in your child’s school performance. It could be one of the reasons for a child failing to thrive at school. From: Dacey, J.S. & Fiore, L.B. Your anxious child. Published by Jossey-Bass.